Online for Helper 2089 Openings. Available vacancies of Helper-II shall be determined at Company Level by the Chief Personnel Officer / Head of Personnel wing of the respective company. Error free Online Application Form is invited from hardworking job finders latest by dead line. Participants who are best fit for these posts are suggested to go through the official website of this Jaipur Vidyut Vitran Nigam Limited and then deposit the form to stay remain in this process of career. Dear applicants prepare well to pass written exam to recruit for high salary. Before apply you are advised to check skills then proceed further. 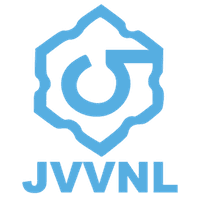 More sufficient details totally connected with applying procedure for JVVNL Recruitment is declared below by the team members of ejobhub for the visitors of this portal to help them. All candidates should read about the guidelines and then submit registration form from 01st to 15th September 2018. Friends you need to keep safe one copy of deposited form in hard copy. Other latest notices of jobs as per qualification having by appliers will be announced by JVVNL in the official website of this JVVNL that is energy.rajasthan.gov.in. Now you also stay tuned with this post to get other new public sector jobs through this portal. All the best! From 1st to 15th Sep 2018. Salary Information: Hired applicants will be given Rs. 12,600/- per month by department. Educational Record: Applicants must be Minimum 10th class / Matriculation pass from RBSE / CBSE or Central Government recognized board. Age Limit: Age of candidates should be minimum 18 years and maximum age limit is 28 years as on 01-01-2019. Relaxation will be given to reserved categories as per JVVNL rules. Application Fees: The Payment of Fee through Online mode is available. The payment can be made by using Debit Cards (RuPay/ Visa/ Master Card/ Maestro), Credit Cards, Internet Banking, IMPS, Cash Cards/ Mobile Wallets. Recruitment Process: Selection of appliers will be made on basis of online/ offline Written Competitive Examination (Computer based) for all appliers. Here enter on “Important Links” which is available on left side of homepage and select this “Recruitment Advertisements” link. Choose right link and read the official notification carefully. After that, enter on “JVVNL Online” tab and choose “Apply Online” link or fill online application form with complete details in correct manner. Pay fees before applying online. In the end, get print out of submitted form for further use.